Yippy skippy, look what I got! 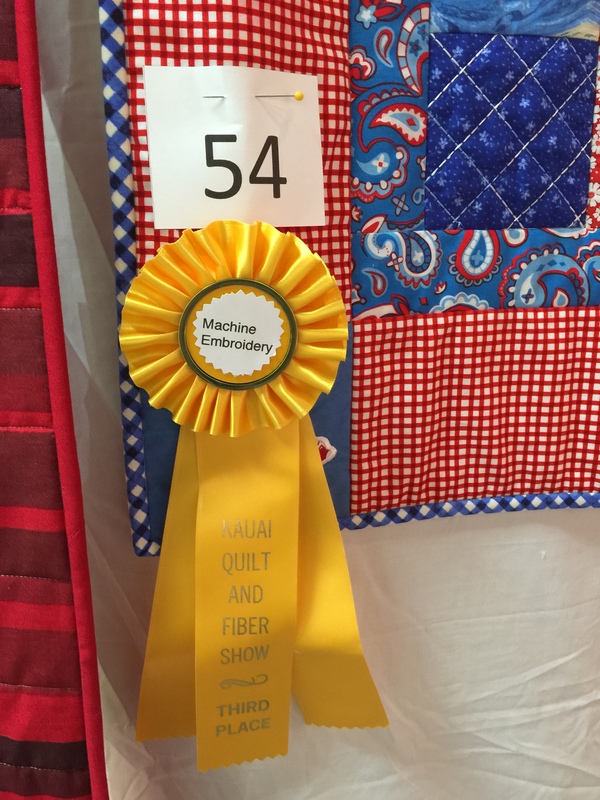 I went to the Kauai Quilt Show today and found this wonderful surprise. 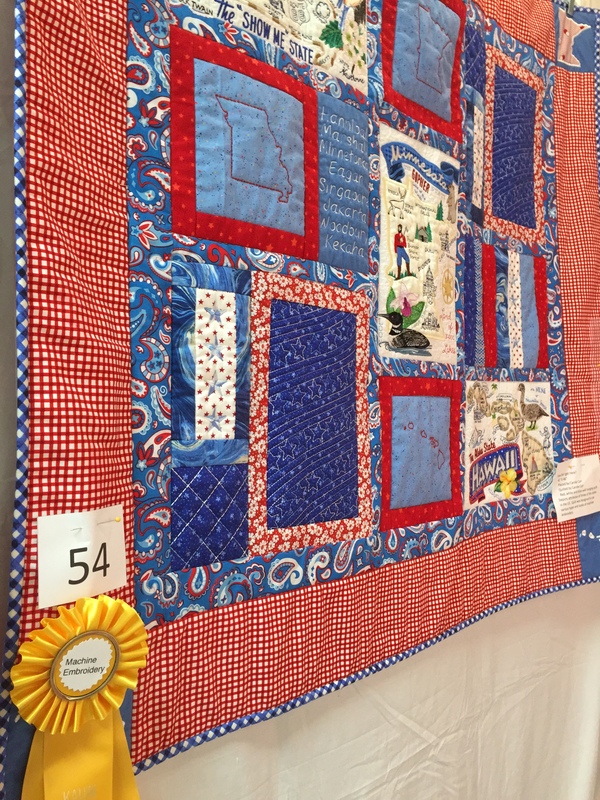 I’m pleased, and really proud to get a ribbon for my first entry into a quilt show. I’ve actually never been to a quilt show before today. What a treat to look at all the entries. The winner in the machine embroidery category was breathtaking – a geisha panel made by a friend. I have to admit the handwork category really blew me away. The first place in this category was my favorite quilt of the whole show. 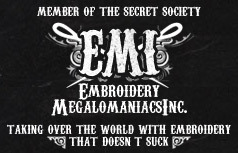 Well, besides mine! Next Pineapples and hibiscus join the Hawaiian quilt party! Yay! I had a feeling you would do well! Congratulations!! Thanks! Do you think I should wear that ribbon? It’s lovely! I want to see a quilt one day! Thanks! I’m on cloud9. Or cloud 54. Yahoooooo … you go girl! Congratulations Carole….its a beautiful quilt!